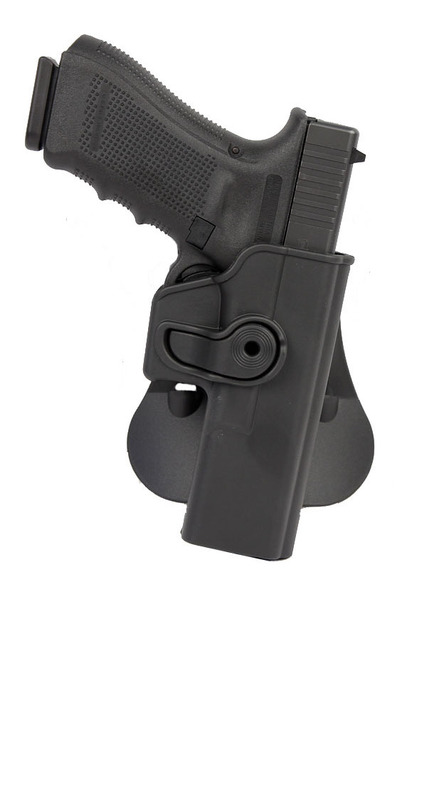 From SIGTAC, the Retention Holster is made from a high quality polymer and features a push button release that quickly allows access to your weapon using very natural positions and movements. A full 360 degrees of rotation allows for all applications and required cant. Right hand only. Fits Glock 26, 27.